Our 360 Turbo Rush Obstacle Course packs a punch! 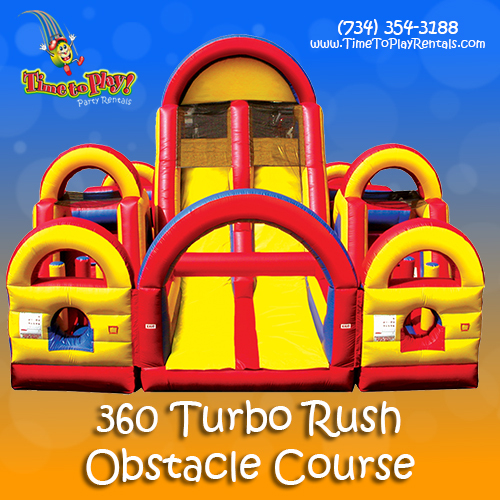 This Turbo Rush offers ten intense and challenging obstacles in each 40’ run lane. At 20’ high, the slide is one of the tallest you will find on an obstacle course. Race your opponents in a heart-pounding, blood-pumping sprint to the finish line! Our 360 Turbo Rush Obstacle Course is a great choice for school, church, corporate and team-building events!